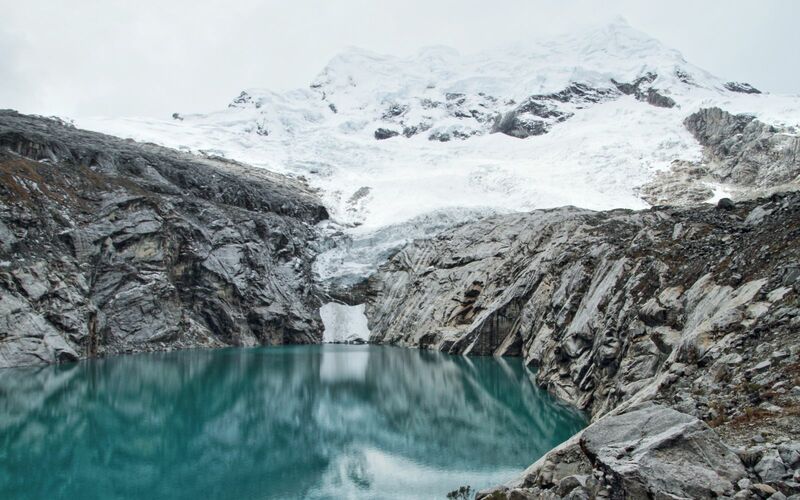 Laguna 513 is one among hundreds of glacial lakes in the Cordillera Blanca. It is located at 4428 m asl. at the base of the heavily glacierized, 6122 m high Nevado Hualcán and fills a depression in the bedrock which was once scoured by the name-giving Glacier 513. Laguna 513 can be reached from Carhuaz: taxi transport is available almost to Shonquipampa, a wide plain at an elevation of 3600 m asl. From there, a decent path continues, partly through gnarled forests of Polylepis almost reaching up to the lake. But why is this path so well designed, despite the low number of visitors encountered in this area? An why did the lake gain a lot of attention in 2010? In case that you have already visited Laguna Palcacocha or Quebrada Ishinca, you are well aware about the hazards glacial lakes can bear. Observe the photograph - and also the title image - in detail. Where do you find similarities to Laguna Palcacocha, and where do you find differences? What could be the importance of these similarities and differences when considering the hazard of a lake outburst flood? By clicking on one of the arrows or into the image you can increase your knowledge on Laguna 513. Similarly to Laguna Palcacocha, Laguna 513 is located at the base of a steep, heavily glacierized mountain slope. 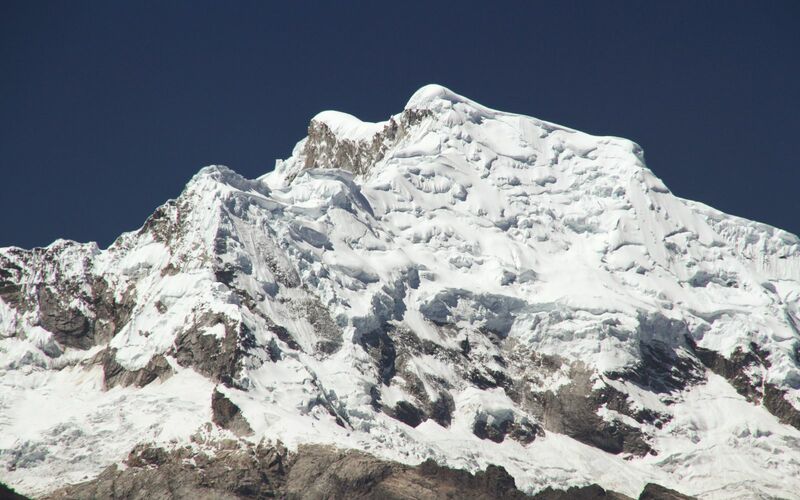 In this case, the slope represents the southwest face of Nevado Hualcán. An ice avalanche could reach the lake and trigger a flood wave there, which could further evolve into flooding or even a debris flow downstream. Such a scenario became real on 11 April 2010.